So yesterday we swam round Burgh Island. Plum Duff was suffering from a dodgy shoulder from a 5 hour swim the day before, but still made it round. She emerged victorious and, by some sleight of hand unknown to Burgh Island virgins such as I, she had a gin and tonic in one hand as she exited the water! 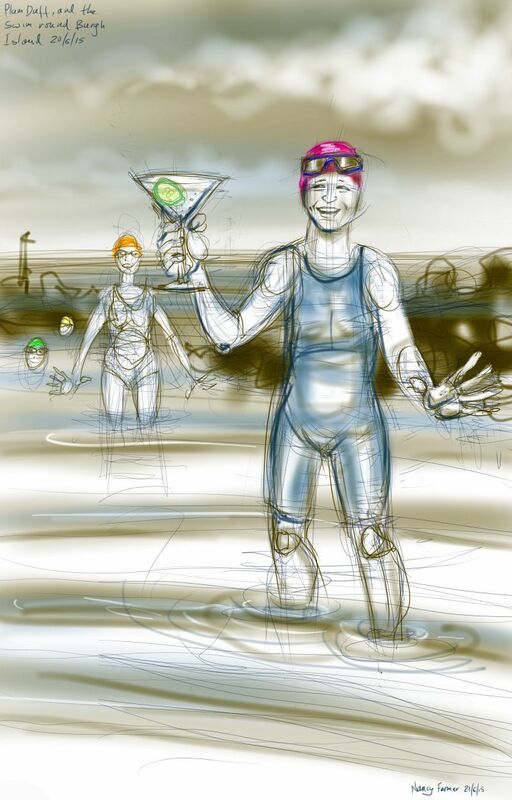 This entry was posted in Events, People, swimming and tagged art, cartoon, cocktail, gin and tonic, illustration, open water swimming, people, sea swimming, wild swimming on June 21, 2015 by Nancy Farmer.